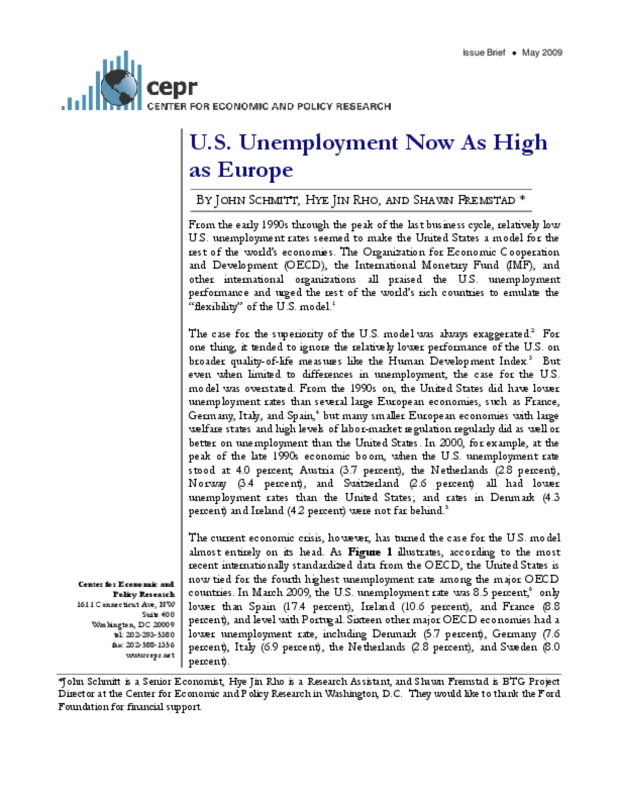 From the early 1990s through the peak of the last business cycle, relatively low U.S. unemployment rates seemed to make the United States a model for the rest of the world's economies. The Organization for Economic Cooperation and Development (OECD), the International Monetary Fund (IMF), and other international organizations all praised the U.S. unemployment performance and urged the rest of the world's rich countries to emulate the "flexibility" of the U.S. model. However, this report shows that in the current economic crisis, the U.S. unemployment rate ranks 4th to last among the major OECD countries. 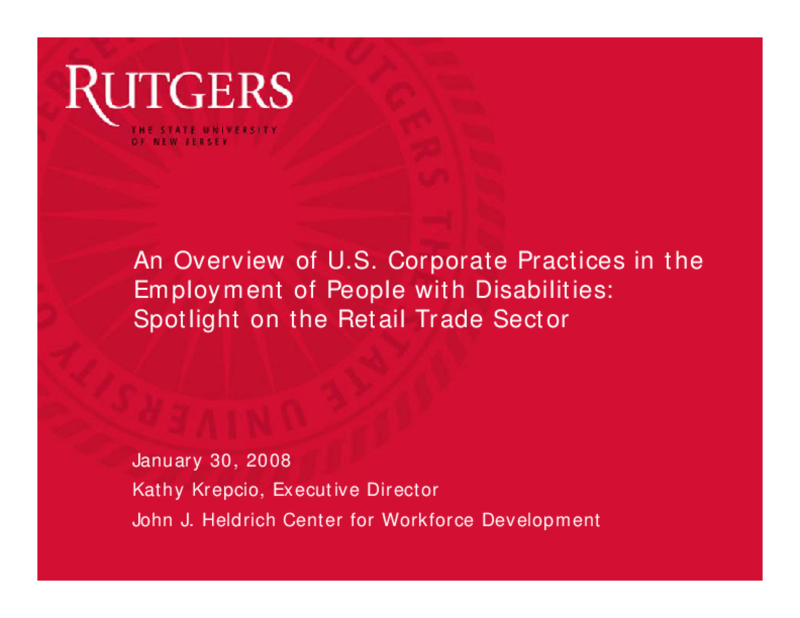 Heldrich Center Executive Director Kathy Krepcio presented "An Overview of U.S. Corporate Practices in the Employment of People with Disabilities: Spotlight on the Retail Sector" at a Disabilities Stakeholders Forum in January 2008. 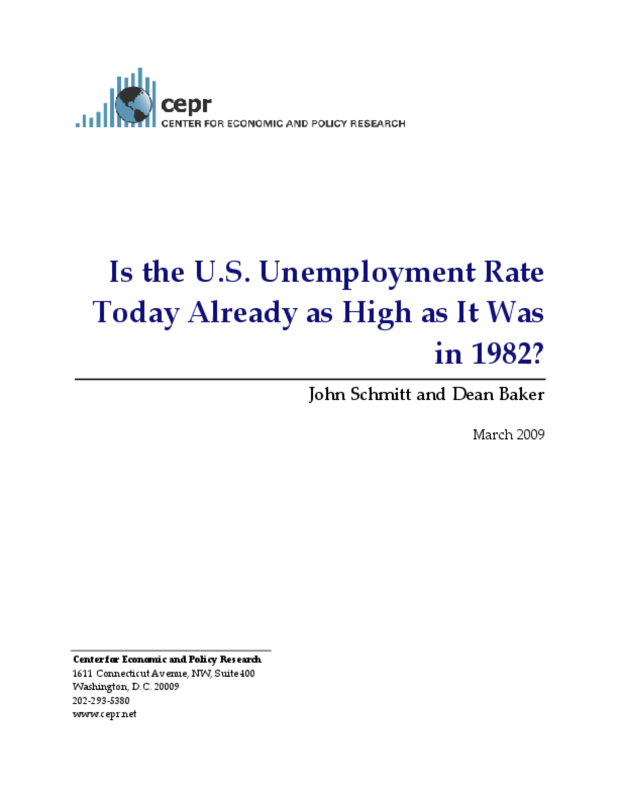 Is the U.S. Unemployment Rate Today Already as High as It Was in 1982? In 1982, the United States experienced the highest annual unemployment rate since the Great Depression -- 9.7 percent. In principle, that rate is directly comparable to the 8.1 percent seasonally adjusted unemployment rate for February 2009, and suggests that current unemployment is still not as bad as it was in 1982. The official unemployment rate, however, masks two important differences between the unemployment rate in 1982 and today. The first difference is demographic. In 1982, the US population was substantially younger than it is today. Even in an otherwise identical economy, we would expect a younger population to have a higher unemployment rate than an older population would. The second difference is statistical. The main government survey used to measure the unemployment rate -- the Current Population Survey (CPS) reaches a smaller share of the population today than it did in 1982, and is especially likely to miss people who are not employed. As a result, the official unemployment rate understates the unemployment rate relative to 1982. The federal government spent $92 billion in direct and indirect subsidies to businesses and private- sector corporate entities -- expenditures commonly referred to as "corporate welfare" -- in fiscal year 2006. The definition of business subsidies used in this report is broader than that used by the Department of Commerce's Bureau of Economic Analysis, which recently put the costs of direct business subsidies at $57 billion in 2005. 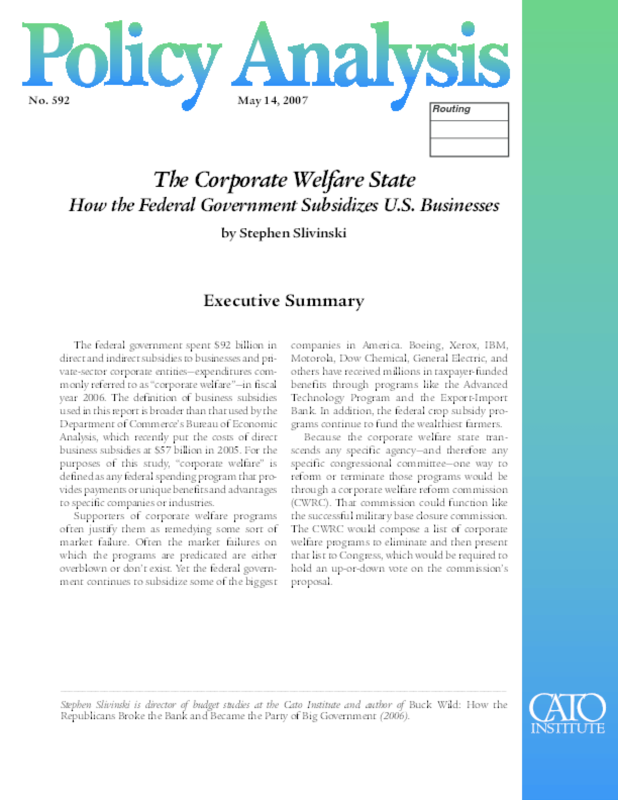 For the purposes of this study, "corporate welfare" is defined as any federal spending program that provides payments or unique benefits and advantages to specific companies or industries. Supporters of corporate welfare programs often justify them as remedying some sort of market failure. Often the market failures on which the programs are predicated are either overblown or don't exist. Yet the federal government continues to subsidize some of the biggest companies in America. Boeing, Xerox, IBM, Motorola, Dow Chemical, General Electric, and others have received millions in taxpayer-funded benefits through programs like the Advanced Technology Program and the Export-Import Bank. In addition, the federal crop subsidy programs continue to fund the wealthiest farmers. Because the corporate welfare state transcends any specific agency -- and therefore any specific congressional committee -- one way to reform or terminate those programs would be through a corporate welfare reform commission (CWRC). That commission could function like the successful military base closure commission. 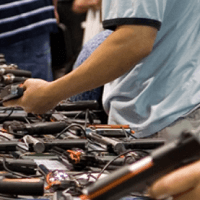 The CWRC would compose a list of corporate welfare programs to eliminate and then present that list to Congress, which would be required to hold an up-or-down vote on the commission's proposal. 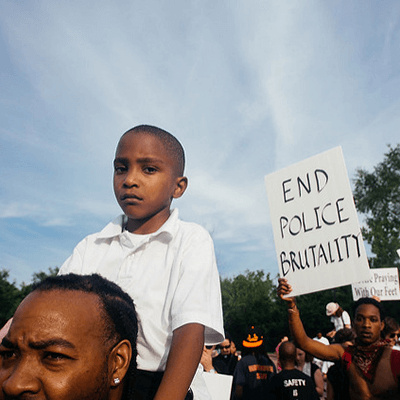 Taking the Next Step: What Can the U.S. 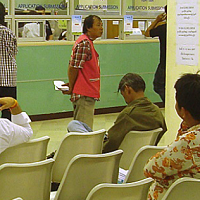 Learn about Sick Leave from New Zealand? 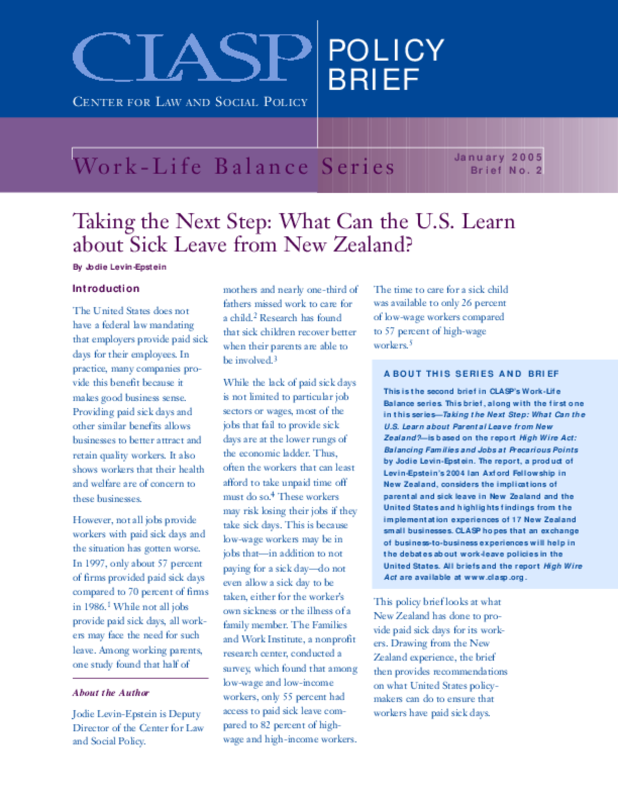 This policy brief, based on the report "High Wire Act" and the second in the Work-Life Balance Series, looks at what New Zealand has done to provide paid sick days for its workers. 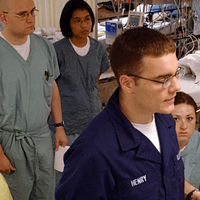 Drawing from the New Zealand experience, the brief then provides recommendations on what United States policymakers can do to ensure that workers have paid sick days. 8 pages. 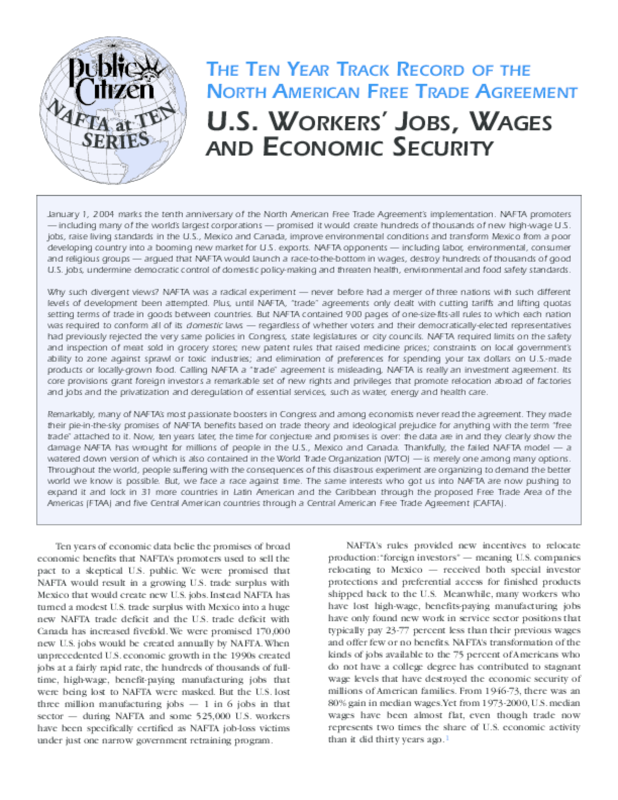 This fact sheet is part of Public Citizen's "NAFTA at Ten Series" and documents the results of the failed NAFTA model. Before NAFTA, trade agreements dealt with traditional matters such as cutting tariffs and lifting quotas that had set the terms of trade in goods between countries. 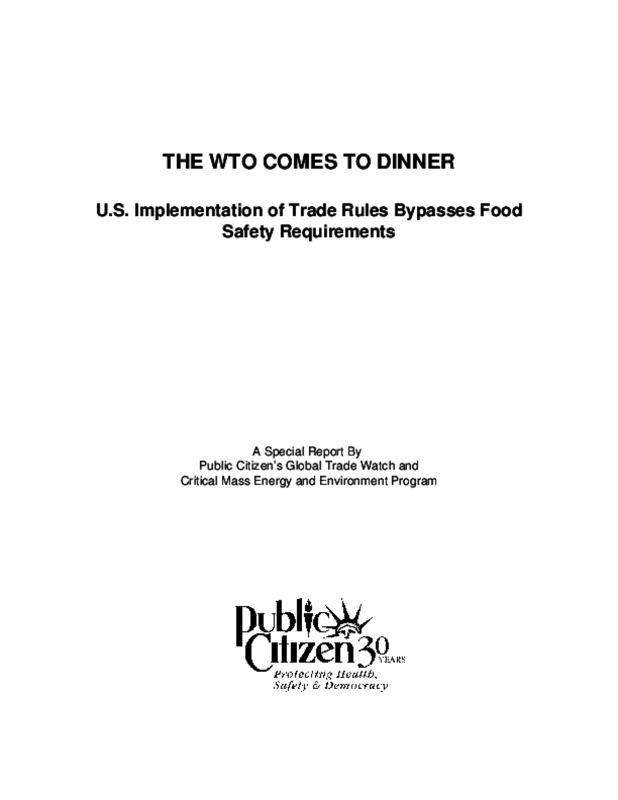 NAFTA shattered the boundaries of trade agreements; its central focus and most powerful rules concerned investment, and it contained 900 pages of one-size-fits-all "non-trade" rules with significant implications for food safety, drug patents and access to medicines, not to mention jobs, wages and economic security. 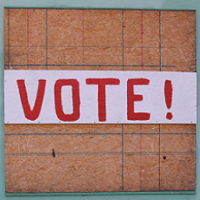 It also constrained the ability of local government to zone against sprawl or toxic industries. NAFTA was a radical experiment -- never before had a merger of three nations with such different levels of development been attempted. When NAFTA was being debated, proponents and opponents alike predicted its consequences. 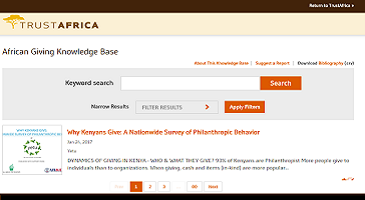 Now the data are in. What are NAFTA's lessons in Canada, the United States and Mexico? The Free Trade Area of the Americas (FTAA) and Central American Free Trade Agreement (CAFTA) are both proposals to expand NAFTA, but NAFTA's record is playing a significant role in both the hesitance of some FTAA target countries to adopt the NAFTA model and the concerns of U.S. lawmakers to approve CAFTA. 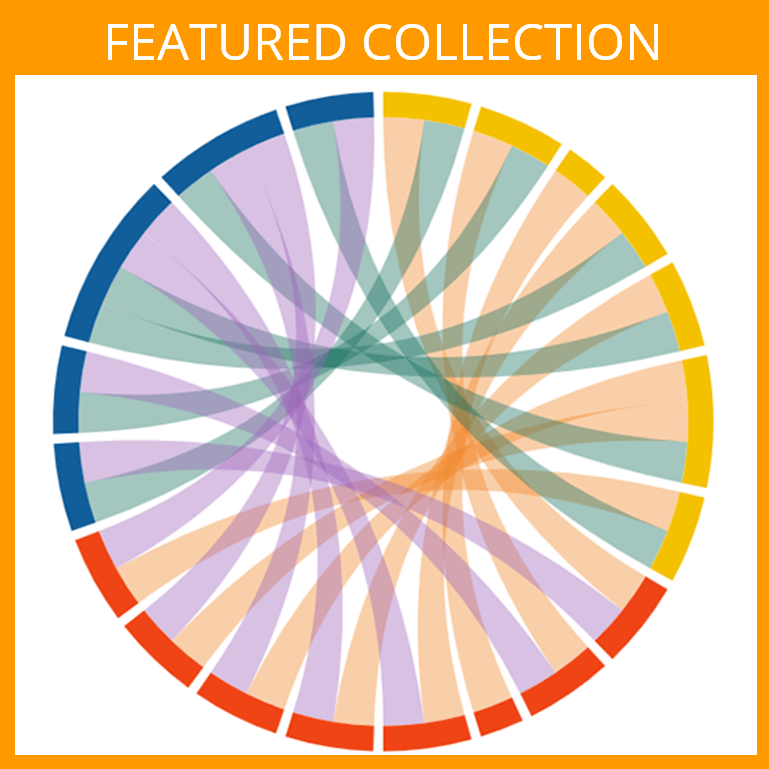 A Special Report By Public Citizen's Global Trade Watch and Critical Mass Energy and Environment Program. A review of U.S. government "system" audits of five nations (Brazil, Mexico, Argentina, Australia and Canada) reveals that the U.S. Department of Agriculture (USDA)'s Food Safety and Inspection Service (FSIS) deemed "equivalent" systems with sanitary measures that differ from FSIS policy, and in some cases, violate the express language of U.S. laws and regulations. Because FSIS has refused to respond to Public Citizen Freedom of Information Act requests for correspondence and other documentation regarding these equivalency decisions, it is impossible to determine what is the current status of these issues and whether they have been resolved by regulators. - The U.S. law requiring meat to be inspected by independent government officials was violated by Brazil and Mexico and they retained their eligibility to export to the United States. - The USDA's zero tolerance policy for contamination by feces was repeatedly violated by Australia, Canada and Mexico. - U.S. regulations requiring monthly supervisory reviews of plants eligible to export be conducted on behalf of USDA by foreign government officials were violated by Argentina, Brazil, Canada and Mexico, several of whom are seeking to avoid this core requirement of U.S. regulation. Monthly reviews are vitally important to remind the meat industry that the meat inspector who works the line in the plant is backed by the weight of the government and to double-check the work of meat inspectors on a regular basis. - Even though U.S. regulations requiring that a government official -- not a company employee -- sample meat for salmonella microbial contamination, the USDA approved company employees performing this task as part of an equivalency determination with Brazil and Canada. - Even though U.S. regulations require certain microbial testing to be performed at government labs, the U.S. approved testing by private labs as part of the equivalency determination with Brazil, Canada and Mexico. - Unapproved and/or improper testing procedures and sanitation violations have been re-identified by FSIS year after year for Australia, Brazil, Canada and Mexico, but the countries have retained their eligibility to export to the United States. - After its regulatory systems was designated "equivalent," Mexico began using alternative procedures for salmonella and E. coli that had never been evaluated by FSIS, yet the country retained its eligibility to import to the United States. - Australia and Canada were allowed to export to the United States while using their own methods and procedures for such matters as E. coli testing, postmortem inspection, monthly supervisory reviews and pre-shipment reviews while awaiting an equivalency determination from FSIS. - FSIS auditors and Canadian food safety officials continue to disagree about whether particular measures have already been found "equivalent" by FSIS, yet Canadian imports remained uninterrupted. 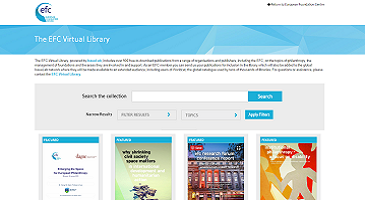 - The regulatory systems of Brazil and Mexico have been rated equivalent even though the countries plead insufficient personnel and monetary resources to explain their inability to carry out all required functions. In the summer of 2001, family farmers and ranchers throughout North America are struggling. 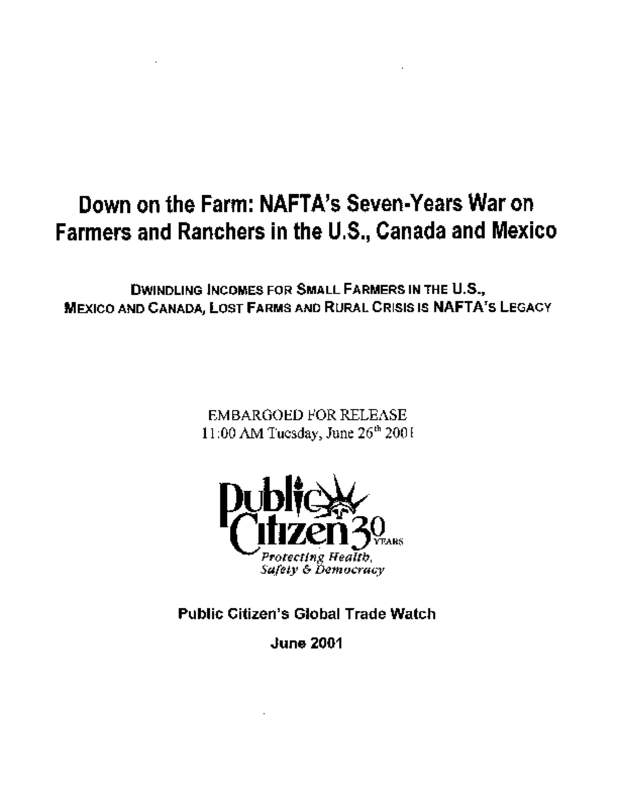 During the 1993 debate over the fate of the North American Free Trade Agreement (NAFTA), U.S. farmers and ranchers were promised that NAFTA would provide access to new export markets and thus would finally bring a lasting solution to farmers' off-and-on struggles for economic success.Now, seven years later, the evidence shows farm income has declined, consumer prices have risen and some giant agribusinesses have reaped huge profits. 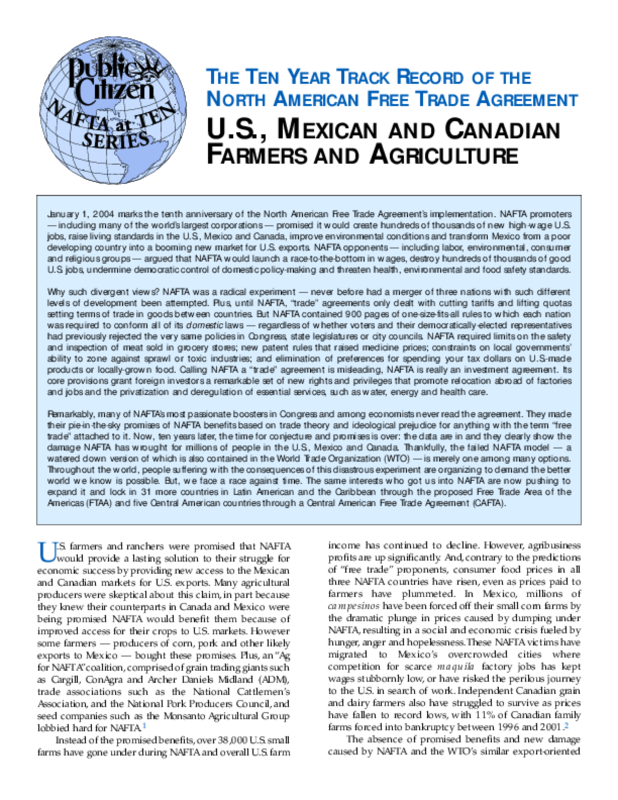 These outcomes are defining the growing national debates over President Bush's proposals to establish Fast Track trade authority and to expand NAFTA through the Free Trade Area of the Americas (FTAA).This report reveals the basis for farmers' concern about NAFTA and its model of export-oriented agriculture. For the past seven years, Midwestern and Plains states wheat farmers; ranchers in Montana, Texas and other states; vegetable, flower and fruit growers in California; lumber mill owners in Louisiana, Arkansas and Washington; vegetable growers in Florida; chicken farmers nationwide and others have suffered declining commodity prices and farm income while a flood of NAFTA imports outpaced U.S. exports to Canada and Mexico. Yet it was not farmers in Mexico or Canada who benefitted from U.S. farmers' woes. Millions of campesinos throughout Mexico have lost a significant source of income and left their small corn farms. Some became farm laborers working in squalid conditions for poverty wages on large plantations growing produce for export to the U.S. Others moved to Mexico's cities where unemployment is high. Canadian grain and dairy farmers also face steeply rising debt during the NAFTA era. This report also documents the rise in Mexican staple food prices, such as in tortilla prices, even as the price paid to Mexican corn farmers dropped 48%. However, NAFTA has brought seven years of good fortune to many of the agribusinesses that pressured Washington, Ottawa and Mexico City to negotiate and ratify NAFTA's corporate- managed trade terms. Since NAFTA stripped away many safeguards for the folks who produce raw agricultural products, relative power and leverage has grown for large agribusiness conglomerates to exert pressure on both farmers and consumers. In Washington D.C., the Bush Administration is pushing forward with an ambitious plan to expand the NAFTA model throughout the hemisphere through FTAA. President George W. Bush and his principal trade policy advisors have stated that they intend to make the debate about NAFTA expansion and Fast Track (which they want to rename "Presidential Trade Promotion Authority") a referendum on NAFTA. Public Citizen agrees that the debate over NAFTA expansion ­ indeed, the national conversation about the premises and direction of U.S. trade policy ­ should be decided on the basis of the real-life results of NAFTA and the model on which it is based. In this report, we show how independent farmers in the U.S., Mexico and Canada have seen agricultural prices plummet, farm incomes collapse and critical domestic agriculture safety net programs dismantled. International free trade agreements and the domestic policies which furthered implementation of the export-oriented model, such as the U.S. "Freedom to Farm Act," have proved to benefit only the largest agribusinesses while the majority of farmers and consumers have lost. 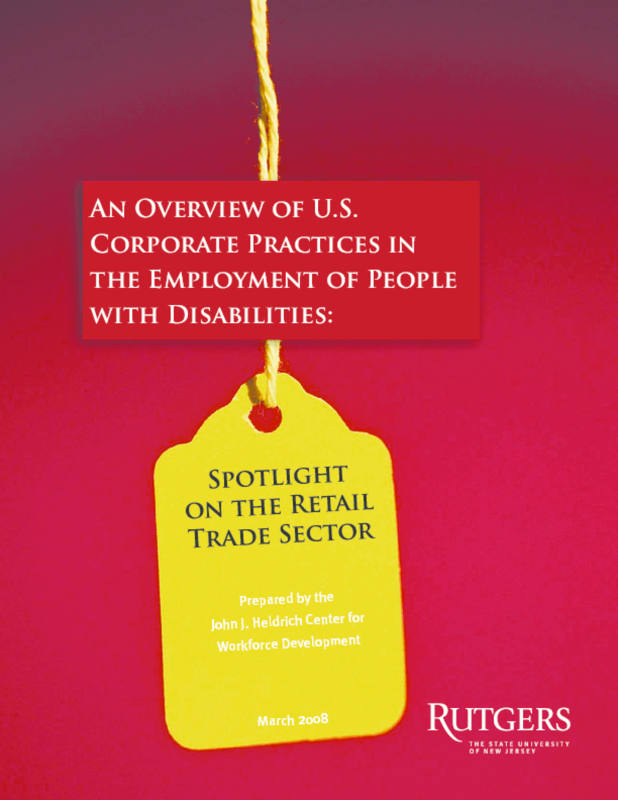 This report provides an overview of practices and strategies taking place in U.S. corporations that are considered promising practices in the recruitment, hiring, and retention of people with disabilities. It explores the trends and needs of the retail sector and also examines how retail employers are meeting their workforce needs by hiring people with disabilities. Reports of the death of U.S. manufacturing have been greatly exaggerated. Since the depth of the manufacturing recession in 2002, the sector as a whole has experienced robust and sustained output, revenue, and profit growth. The year 2006 was a record year for output, revenues, profits, profit rates, and return on investment in the manufacturing sector. And despite all the stories about the erosion of U.S. manufacturing primacy, the United States remains the world's most prolific manufacturer--producing two and a half times more output than those vaunted Chinese factories in 2006. Yet, the rhetoric on Capitol Hill and on the presidential campaign trail about a declining manufacturing sector is reaching a fevered pitch. Policymakers point repeatedly to the loss of 3 million manufacturing jobs as evidence of impending doom, even though those acute losses occurred between 2000 and 2003, and job decline in manufacturing has leveled off to historic averages. 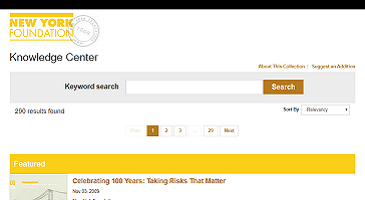 In the first six months of the 110th Congress, more than a dozen antagonistic or protectionist trade-related bills have been introduced, which rely on the presumed precariousness of U.S. manufacturing as justification for the legislation. 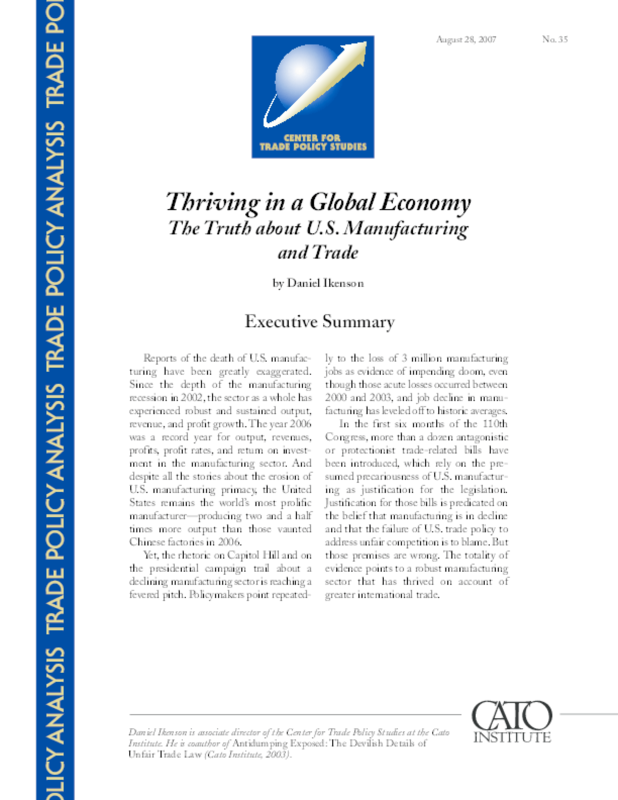 Justification for those bills is predicated on the belief that manufacturing is in decline and that the failure of U.S. trade policy to address unfair competition is to blame. But those premises are wrong. 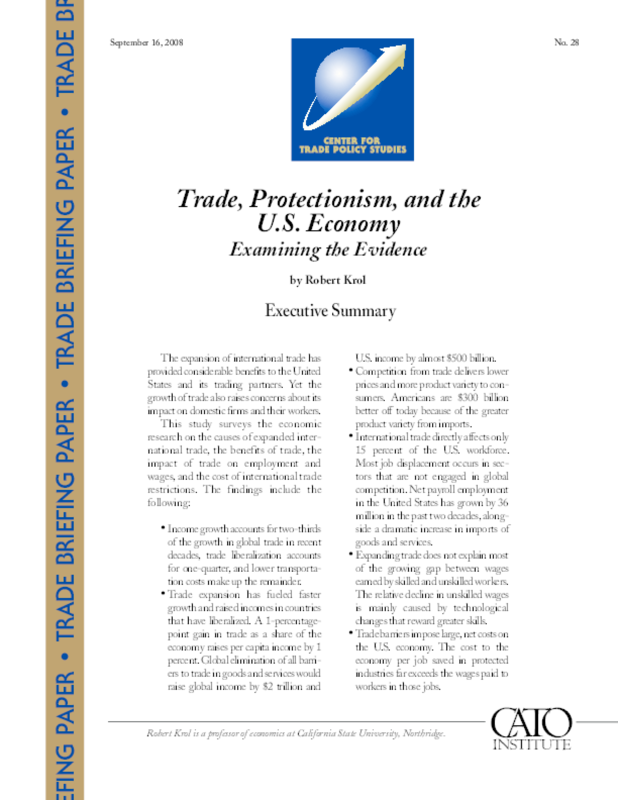 The totality of evidence points to a robust manufacturing sector that has thrived on account of greater international trade.